A few week ago, I came across the image of some manga collector’s shelf. 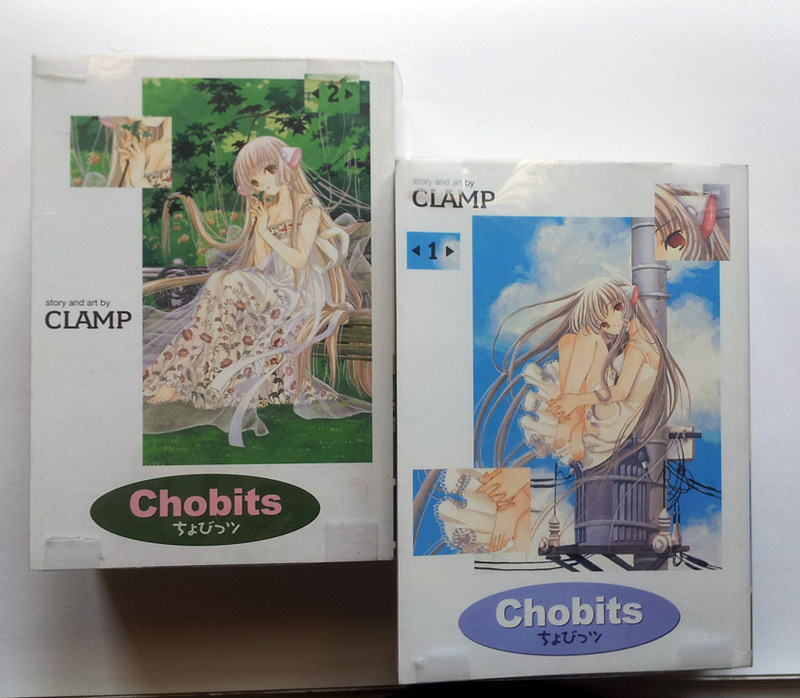 I saw one huge volume of Chobits. I was not aware of the series. I hadn’t even seen the TV anime. I wondered if the subsequent volumes were available. A quick search said that after the expiry of Tokyopop’s license, who released them in standard 200 page volumes, the manga was picked up by Dark Horse in 2010. 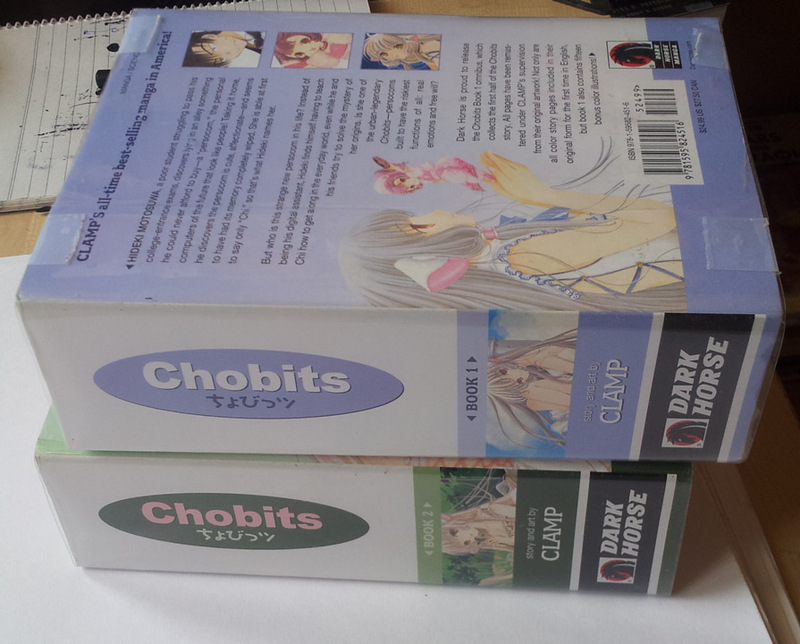 Instead of publishing it in small volumes, they had decided to bind the entire work in two volumes of thick omnibus format. I had gone through the first few chapters via scanlations and found them interesting enough to order for a copy. 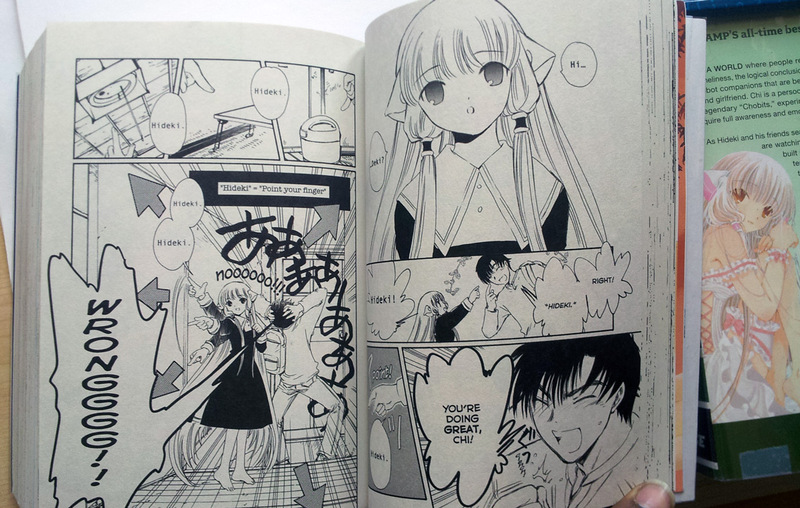 Chobits is CLAMP’s seminal work that caters to a mature audience – both from an imagery as well as philosophical point of view. The story is set sometime in the future where android like machines known as persocoms can be bought for personal use. These machines aid the owner with whatever activity the owner has programmed them to do. They are readily available in the market. Newer models with better features replace the older ones just like today’s computational devices. These persocoms also come in laptop and palmtop variants. We are introduced to our main character, Hideki Motosua early on. He is struggling to get into a college and hence attends a cram school. He is very poor to afford books, let alone a persocom. He toils at night in a club house to pay for the bills. In a sheer chance of fate, he comes across a persocom lying in the trash. This abandoned persocom looks like a cute 16 year old female and can only cay “chi”. Because of this, Hideki names her Chi. The story itself is pretty much tight with a handful of characters. The opening, for most of its part is funny. I especially enjoyed the segments where Chi the “Copycat” tries to imitate the actions she observes without understanding their implied meaning. She also passes innocent comments not knowing that they would embarrass Hideki. In due course, the reader gets to know that Chi is a special persocom designed by the inventor of persocoms. She is one of the legendary Chobits – persocoms who are capable of independent thought and have enormous powers that can affect other persocoms. As the story progresses, the tone becomes very serious and, at times, dark. Unknown to Hideki, there are people after Chi – those who want to study her, those who want to protect her and those who want to destroy her. The manga is all about unraveling of the backstory of Chi and in the process learn a bit about human beings – their emotions, memories and desires. These abstract concepts that we take for granted are contrasted against analogous programs residing in persocoms. Specifically, the authors explore the concept of love, care and relationship from a persocom point of view. Through various human characters and persocoms, CLAMP raises many questions. Are we that different from a programmed persocom? The very nature of the programming in our DNA makes us unique just like the programming in different persocoms make them unique. There are things we can and cannot do; there are things that a persocom can and cannot do. Can a persocom replace a human being? Near the end, there is a quintessential question raised by Zima, a government databank persocom, whether persocoms are capable of caring about other persocoms. If so they will not be any different from human beings. The artwork is easy to follow and has a lot of fanservice. It maybe targeted to the shonen audience. The manga itself is like exposing seinen themes to a shonen audience. As long as the fanservice doesn’t get in the way of storytelling, I am fine. 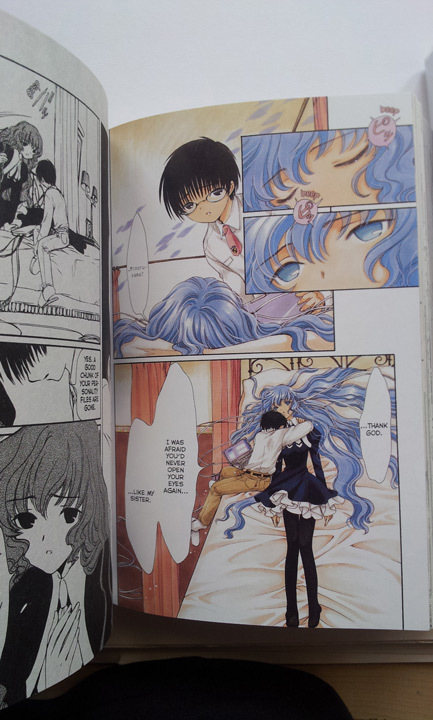 CLAMP also seems to use a lot of screen tones and curvy lines to make the panels extra-gorgeous. The Dark Horse omnibus volumes have a lot of colour inserts and have retained the original colour panels. They have also retained the original R-to-L orientation of the original. At nearly 1400 pages, the volumes are pretty cheap. I will recommend the manga to anyone who is willing to give it a try. Think of it as a much lighter and romantic take on Ghost in the Shell.